Place strawberries and blueberries at the bottom of the dish. In a mixing bowl, pour in oatmeal packets and combine with flour and salt. Cut butter into small chunks and place back into the fridge until chilled. Then, add the cold butter to your oatmeal mixture and smash with a fork or pastry cutter until the mixture forms a crumbly texture. 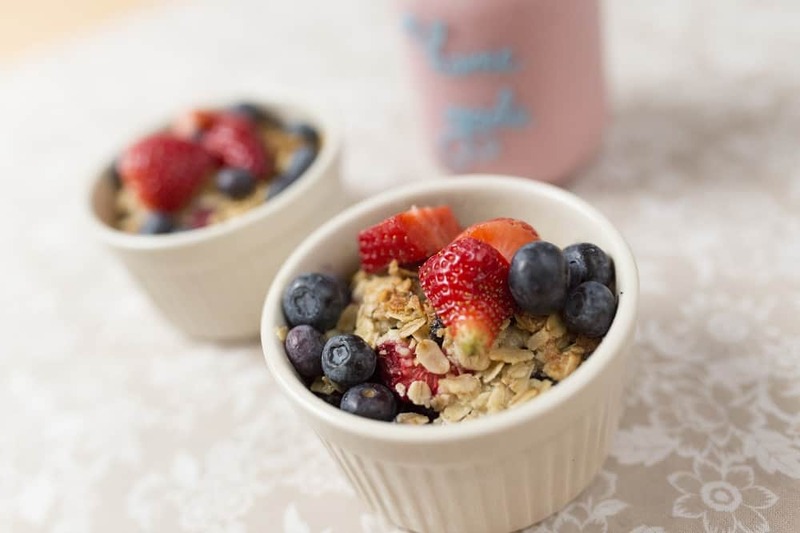 Evenly sprinkle the oat mixture over the strawberries. Make sure the chunks of butter are evenly distributed over the fruit and oats. Bake at 375° for 30 to 45 minutes or until the topping is golden brown and crispy. Top with a few fresh strawberries and blueberries. Then, for added sweetness, serve with a scoop of Braum’s Vanilla Ice Cream or Whipped Cream.